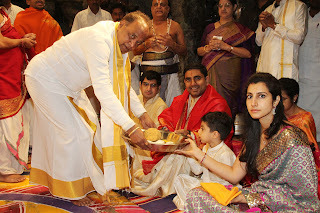 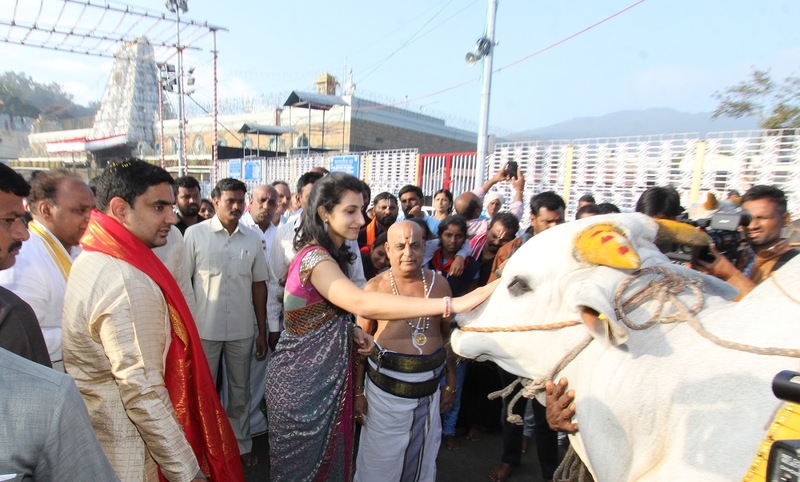 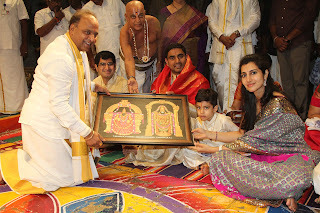 TIRUMALA, 14 Jan. 19: The Honourable Panchayat Raj and IT Minister of Andhra Pradesh Sri Nara Lokesh along with family members offered prayers in the temple of Lord Venkateswara on Monday morning. 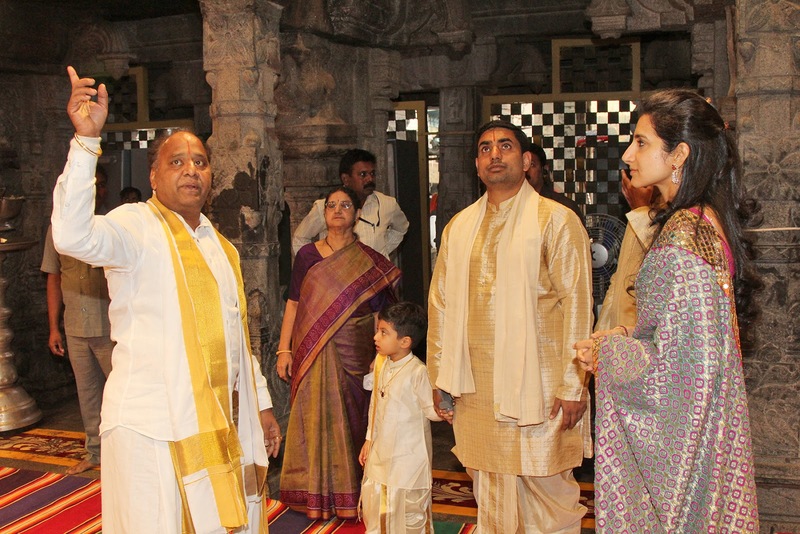 Later he offered prayers to the presiding deity of Lord Venkateswara, Vakula mata, Ananda Nilayam Vimana Venkateswara, Bhashyakarla Sannidhi and Yoga Narasimha Swamy in the Sanctum Sanctorum. After offering prayers the Vedic Pundits rendered Vedasirvachanam to the Minister and his family at Ranganayakula Mandapam. Tirumala JEO offered the Minister, Lord’s silk vastram, prasadams of Lord Venkateswara. 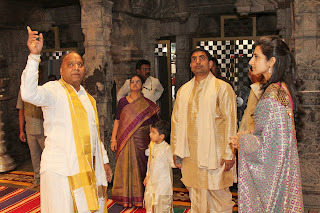 Temple DyEO Sri Haridranath, Reception Officials Sri Balaji, OSD Sri Lokanadham and others were present.